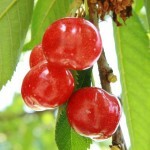 We grow and sell Fresh Picked, Local fruits and vegetables. We offer Delicious desserts that are made with our Sweet, fresh picked fruit. At Jones Farm Produce we believe in three important principles to ensure a great experience for all customers: Fresh healthy produce, friendly and helpful customer service and affordable prices. Our #1 goal is to provide an outstanding product at a price that is right for everyone. Our friendly, helpful staff will ensure your satisfaction throughout every visit here at Jones Farm Produce. Fresh healthy produce: We pride ourselves in growing and selling fruits and vegetables that are fresh picked, healthy and of high quality. We understand there is a lot more to a piece of fruit than the outer appearance. Our produce will not only look great but it will be nutritious and most importantly have great flavor. Friendly and helpful customer service: We are a family owned and operated business that is committed to providing friendly, honest and helpful customer service. It is our goal for everyone to feel welcomed here at Jones Farm Produce and to have a memorable experience. Affordable Produce: We completely understand that money does not grow on trees and that is why we focus on providing a quality product and selection to fit everyone’s budget. We believe in providing high quality produce at an affordable price for all of our customers. 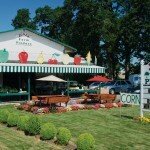 We are confident that you will have an enjoyable experience with us here at Jones Farm Produce. We look forward to the opportunity to provide and serve each family with confidence in our products and friendly staff. Use this form to sign up for our email newsletter. 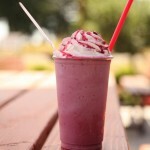 Get the latest news and find out what's on sale at our farm stand!